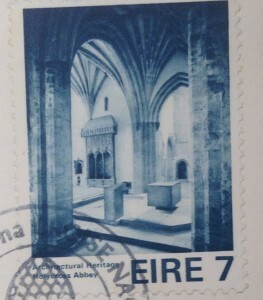 Following centuries in a ruinous state the Abbey was restored 1970 to 1975. An act of the Irish parliament (An Dáil) had to be passed in 1969 to allow for this. The first reading of the new act by Jack Lynch took place on the 50th anniversary of the first meeting of Dáil Éireann in the Mansion House on 21st January 1969. One of the most elaborate and courageous restoration projects in Ireland was about to begin. 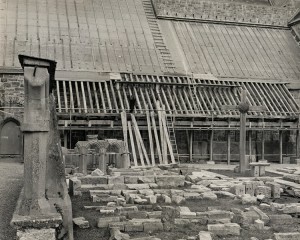 In 1970 Archaeological excavations began. After consultations with parishioners and relatives burial plots inside the Abbey dating back to the 1700’s were individually and carefully excavated. The remains were re-interred north of the abbey. 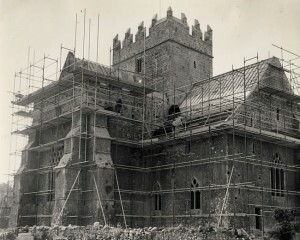 In 1971 restoration commenced with no state funding. 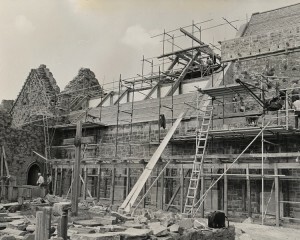 Local craftsmen, masons and labourers from surrounding areas were employed to carry out the restoration. 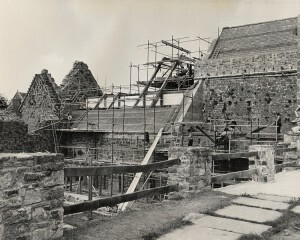 The inside of the Abbey was taken down to the bedrock showing the original foundations and the slope of the 15th century floor. The restoration was very faithful to the original. 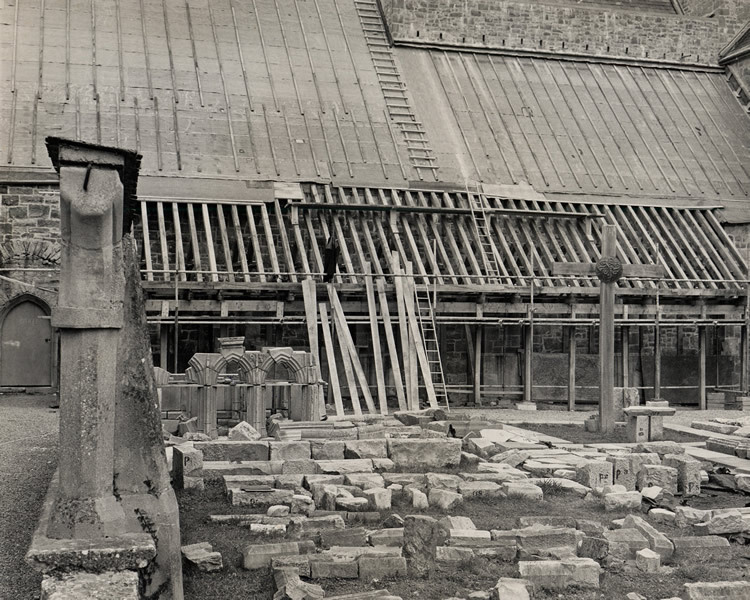 All materials used such as the oak, slates and slabs were mainly from Irish sources. A new altar, ambo and chair were designed for the chancel. The Ormond Relic of the True Cross was gifted back to the Abbey by the Ursuline Nuns, Blackrock, Cork. 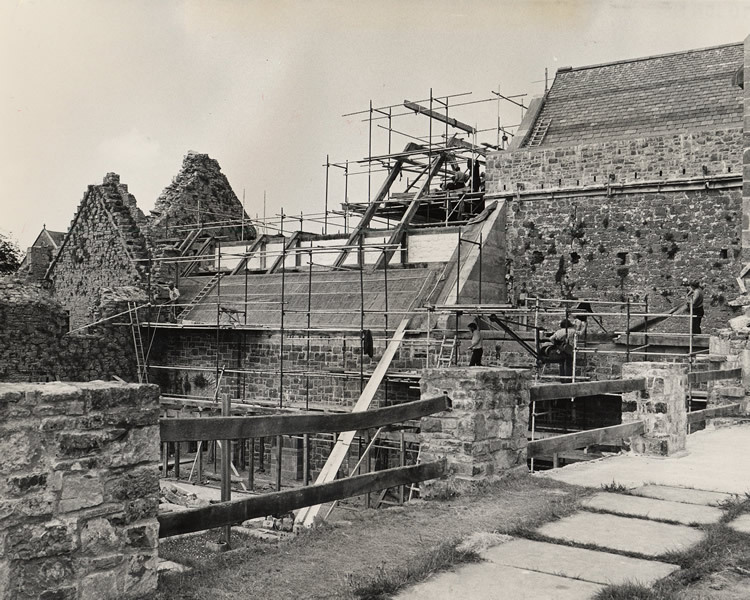 From 1980 to1983 the west range was restored to provide facilities for pilgrims and visitors. 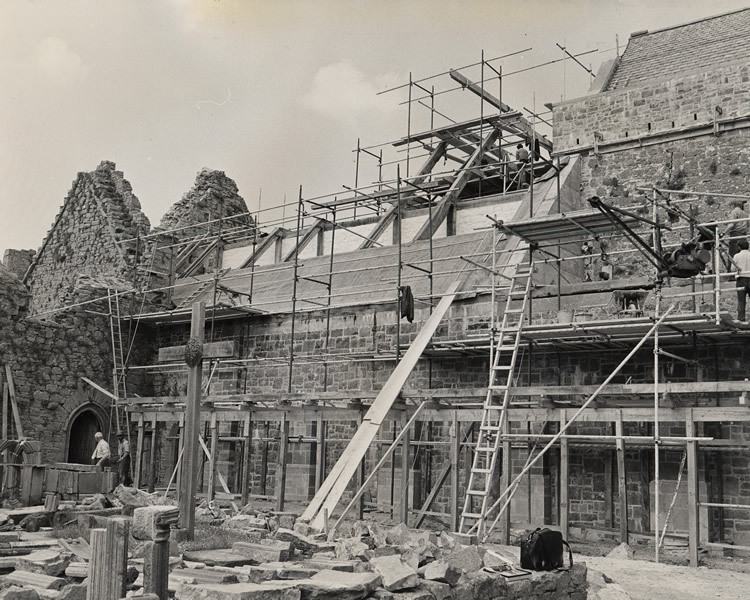 In 1983 the east range was restored with a priest’s residence in the first floor where the dormitory of the monks was hundreds of years before. 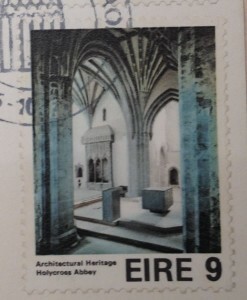 This connection with the past history of the Abbey seemed very appropriate. By 1985 a priest was again in residence providing daily religious services and pastoral care for parishioners, pilgrims and visitors to the Abbey. The official opening was scheduled for Sunday 5th October 1975 where dignitaries of an international, National Church and State Delegates attended. 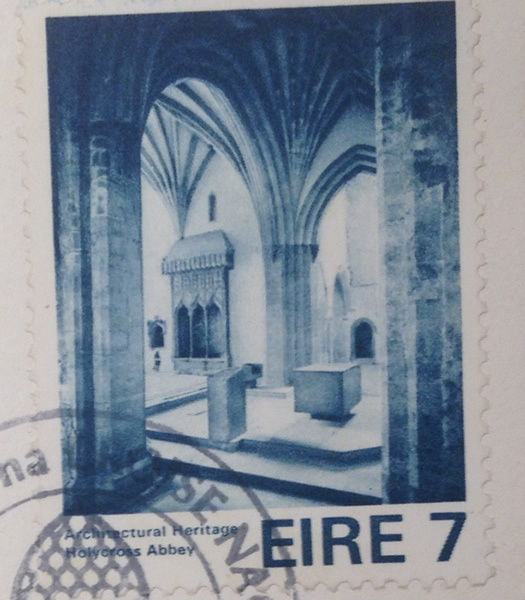 The official opening was not just a great parish event or a diocesan one but a truly national occasion and was marked by the issue of a special postal stamp. Today the Abbey stands proud as a monument to people of vision and courage under the leadership of W.J. Hayes. It is with pride that we claim it as our parish church.